November has arrived and if you live in the United States that means it is Thanksgiving time. I think it is great that we set aside a day to give thanks. I’m wondering though if our hearts are truly thankful or if that gets pushed aside by the preparation of the delicious turkey dinner and the football line-up on TV. Or perhaps we want to give thanks to God but become so consumed by our menu and decorations that the beauty of a thankful heart is lost in the translation. I think that’s how thanksgiving can be if we lose site of our focus in thanking God and caring for one another. I recently hosted an event for our Women’s Ministry. It was a cooking event featuring Tammy Maltby and Cathy Vogel. The food was amazing but what stood out to me the most was Tammy sharing about true hospitality. 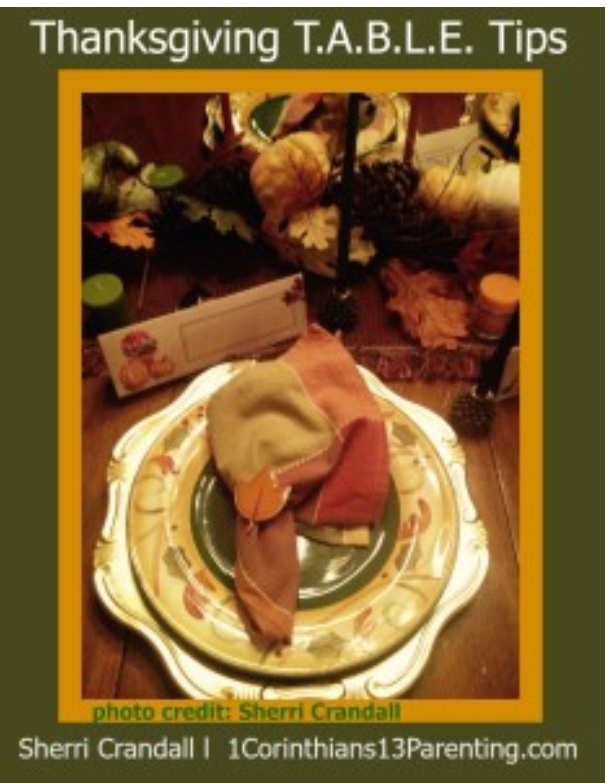 What better time to think God-inspired hospitality than the month of Thanksgiving. The following acrostic is helpful as we host and attend our annual dinners and gather around the TABLE. May these words guide us to life – giving hospitality this season. Make it your mission to be intentional with each person at the Thanksgiving table. Taking time to interact and love on those around you. People enjoy talking about themselves, ask questions that make them feel that you are genuinely interested in what is going on in their lives. This reinforces the first two points for sure. It’s great to be part of the table talk not monopolize it. There is nothing better than laughter. Sharing old stories, recalling childhood memories or learning about new friends. Laughter is good for the soul. Remember this is not about perfection it is about being thankful ! Our gratitude is magnified when we take the time to love others and thank God for the privilege to do so. How will you be intentional this Thanksgiving ?